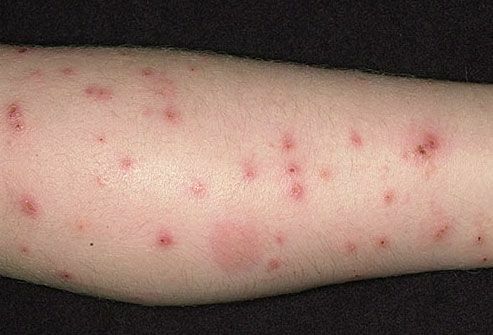 From mosquitoes to ticks, getting bitten by any kind of bug is the worst! The problem is, traditionally, if you want to get rid of bugs, you have to invest in harmful repellents, which can be dangerous for your health. Harsh bug sprays can irritate your skin, cause respiratory problems, coughing, upset stomachs, and more. Thankfully, there is a way to get rid of bugs without putting your health or the health of your family at risk. You can create your own bug spray! One that is not harmful to your children’s health or your own but still be strong enough to get rid of pesky bugs. These ingredients can also be used for a number of different things, like making a useful all-purpose cleaner, laundry detergent, fabric softener, tile scrub, and much more. In the height of tick season, it’s ideal to have a natural tick deterrent instead of covering your body in toxic DEET. So why not prepare a homemade mixture that will help keep you Lyme disease free on your morning jogs or evening strolls? However, if you have pets, you should avoid using tea tree oil. Instead you can make your tick deterrent with peppermint, myrrh, cedarwood, marjoram, chamomile, lavender, or clary sage. The same suggestions apply for the bug spray recipe below! Now, let’s go over what you’re going to need to create the best organic bug repellent out there. Grab a couple of small bottles and divide the witch hazel between them. Use one for outside and the other one for whatever else you would need bug repellent for. I usually like to bring some repellent with me whenever I go out at night because the bugs are usually very active. I usually almost fill the bottles, leaving roughly ½” of room at the top. Add each of the other oils to the witch hazel. Then put back on the lid and shake the bottle well. Do this until the oils mix well. Make sure you shake the mixture again every time you use it. The best part about this insect repellent is that it smells wonderful, so you won’t mind spraying it all over the place. Plus, it’s particularly effective at getting rid of pesky mosquitos. The worst part about using insect repellent is the smell it gives off. I find it almost sickening and I’m always trying to get rid of the smell after I’m done using it. But nothing, until now, has given me the security I need to feel safe from bugs and also not mind having repellent all over my body. Another great part about this bug spray is the fact that it doesn’t feel sticky on your skin. You can wear it all day and all night and never feel that gross icky feeling other repellents give you. For me those were the two biggest sellers for this bug spray, but I also love making it myself so I know exactly what’s in it. I can know for certain that I’m using a bug spray that is chemical free and not harmful to my health, or the environment. 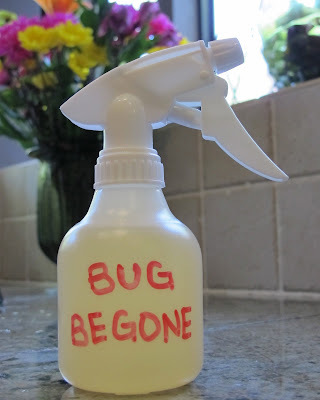 If you’re tired of harmful bug repellents you owe it to yourself and your family to give this a try. Plus, it’s really easy. For more information on this bug repellent recipe visit Premeditated Leftovers.